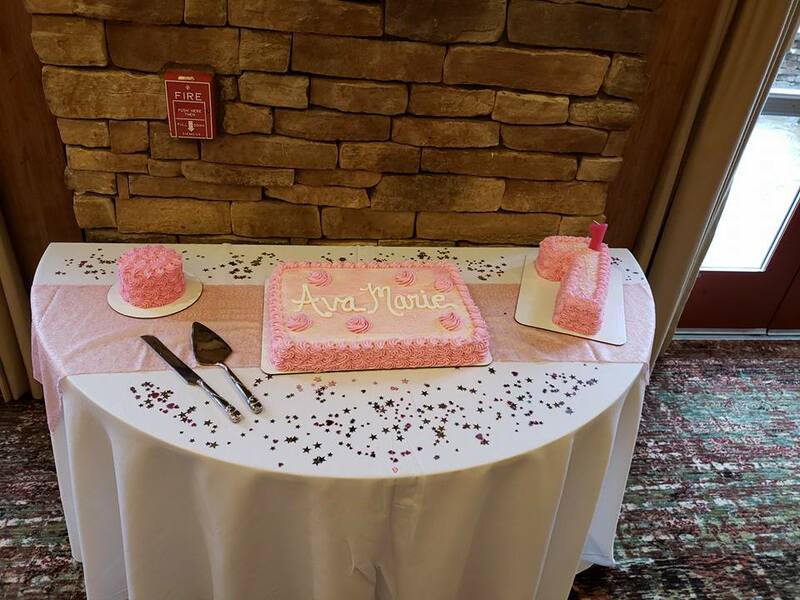 It was a sweet Sunday afternoon with Matt and Jillian for celebrating Ava Marie’s 1st birthday at the amazing Bear Creek Mountain Resort! 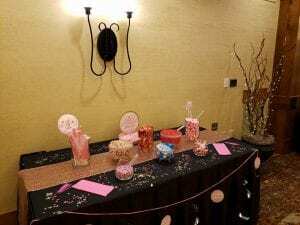 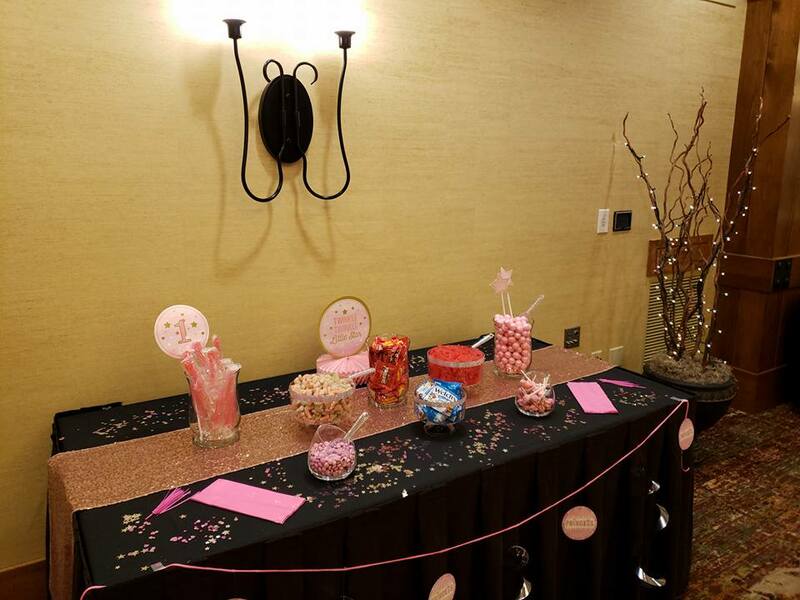 Guests made there way into the Hemlock ballroom, where beautiful pink balloon centerpieces greeted them! 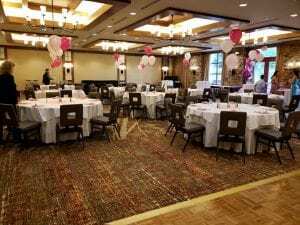 Guests enjoyed a buffet style lunch, followed by an afternoon of dancing with Rockin’ Ramaley! 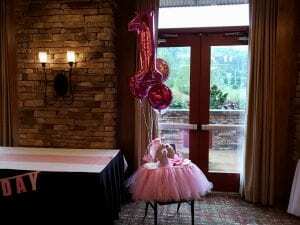 A clown even came in to do some super cool face painting and balloon animals for the kids! 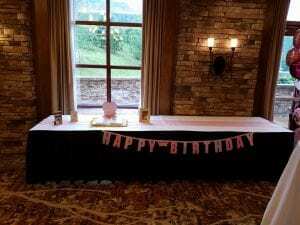 Everyone gathered around the adorable pink cake to sing Happy birthday! 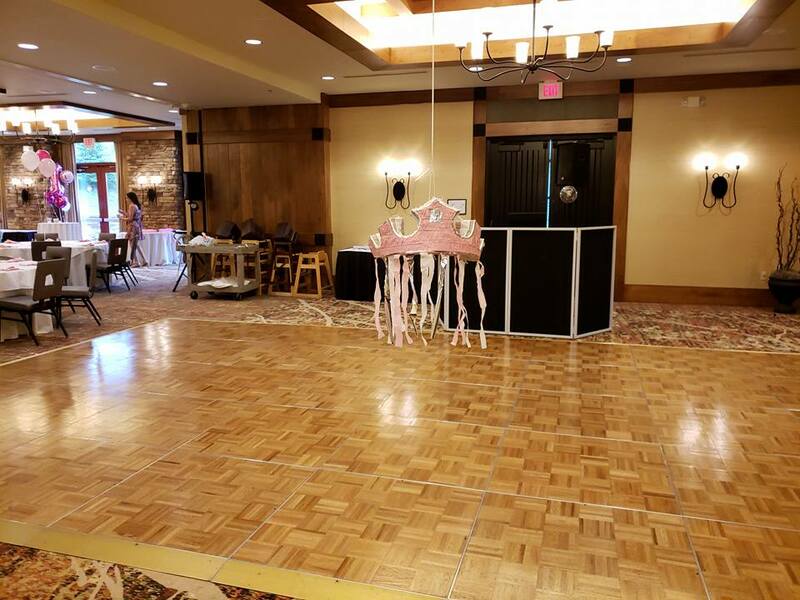 Then the kids made there way to the dance floor to take turns at hitting the princess tiara pinata! Then it was time to party up some more with more dancing through the afternoon!